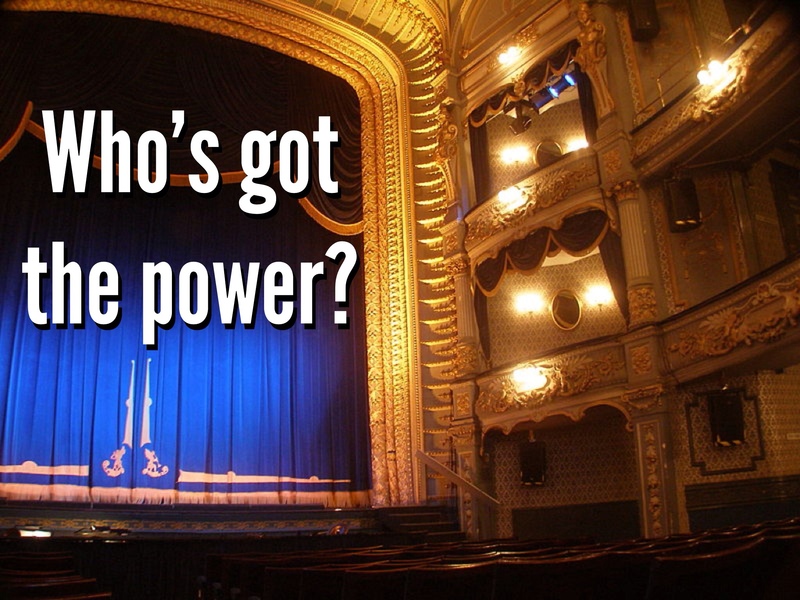 Why theatre authors are more powerful than screenwriters. Authors in theatre enjoy privileges and approval rights not held by their screenwriting brethren. Sometimes, this can lead to trouble for producers and playwrights alike. A recent article at The Guardian asks: “Should a playwright have the final say over a production?. The piece reports on an issue that arose recently when a disgruntled Australian playwright made a very strong statement against a production of his play. The producers, the Perth Theatre Company later refuted this in their own statement, essentially calling Philpott's statements “inaccurate and unwarranted”. But the incident has spurred some in the theatre to reexamine the power and authority of the playwright, and to question whether changes are needed. (if they're possible at all). Authors' rights in Theatre are far more expansive than in film, television, etc. Historically, the playwright (or the bookwriter, composer and lyricist of a Musical) has/have been given great deference when it comes to creative matters relating to their work. Under most production contracts, in fact, the author is given a right of approval that is very nearly absolute. What happened to “Rebecca”, and how to keep it from happening to you. It could happen to any of us. It seems that the much-anticpated production of Rebecca, based on the Daphne du Maurier novel has been cancelled. The reason? The money fell through. It could happen to any of us, at any time. Producing theatre is a complex alchemy, combining hundreds of elements to create magic. But ultimately, it all depends on the availability of money to pay for the raw materials, the talent, and the place to make the magic happen. 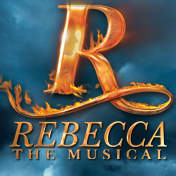 When Broadway producing veteran Ben Sprecher first announced that he'd try to stage a production of Rebecca in 2011, broadway onlookers were skeptical, but before long, it looked like it was going to happen. Then, when financing didn't come together as planned, Sprecher delayed the production, and again began looking for investors. Last spring, a man named Paul Abrams stepped up with a pledge of $2 Million of his own funds and a promise to raise $2.5 Million more. The trouble is, Abrams may not even exist. Sprecher admits he's never met the man. Then, in August, with the show scheduled to open in late September, it was announced that Abrams had died, and his commitment of funds hadn't been finalized. So, Sprecher again delayed things, scrambling to piece together the financing puzzle in the 11th hour. Last week it seems, other investors were spooked and reportedly pulled their funding out of the project, leaving Sprecher with little to do but cancel the production. Over the weekend, a flurry of reports suggested that investors may have been recipients of a “poison pen” letter or e-mail designed to discourage them from investing. Sprecher and regulators are investigating. But one thing's for sure Rebecca's debut will have to wait… and nobody knows for how long. What's a producer to do? So, how can producers avoid this kind of situation? Get it in writing. Sure it seems simple, but in practice, it's anything but. I have no doubt that Ben Sprecher, a seasoned veteran of Broadway had his lawyers, General Manager and others working feverishly to close the deal with Abrams, and I'm sure there are some documents already in existence. So, the bottom line is this: Don't count your chickens until they've hatched. That is, money isn't real until it's in your bank account. Period. The trouble is, producing theatre isn't very forgiving of delays in finding the money. Everybody involved in a production goes on payroll months, or sometimes years, before the show opens, and that whole time, the producers are frantically “working the phones” to lock0in investors. And, investors have changes of heart. Or… they die, and their heirs have other priorities for the money. Ultimately, then, there's really no way to totally avoid what happened with Rebecca. Producing means taking risks… big risks. Sometimes things go south. So, we deal with it. Fortunately, theatre folks are resilient. By the way, Ken Davenport talks about the Rebecca situation today on his blog, and I commend his piece to you. It puts a human face on the situation. This cancellation means people (lots of them) are out of work. That's not good for any of us. Fortunately, theatre folks are resilient. What you absolutely must know before you approach investors for your film / play / musical. I am often consulted by film and stage producers who tell me they're ready to start work on raising the financing for their films/ plays/ musicals, or what-have-you, but often as not, as we get to work, it becomes clear that they're not as ready as they think. 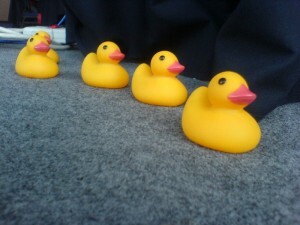 Before going out to investors, it's important to have your ducks in a row. Knowing the following six things before you start raising money will dramatically streamline the process, and get you closer to funding, faster.